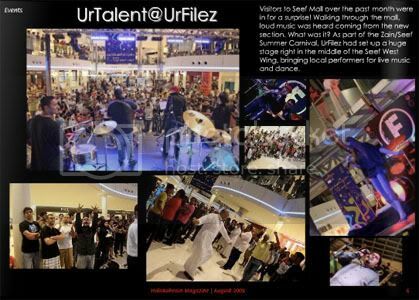 - UrFilez Seef Concert: With a huge stage set up as part of the Seef summer festival, local talents performed one after the other to crowds, wowing people that this sort of talent actually exists in Bahrain! - Bahrain's Funniest Person: Aqua Fuego hosts Bahrain's Funniest Person! Local funny people sign up for improv situations, competing to find out who can bring out the most laughs! - Ramadan: Where to go in Ramadan, what to do, fasting tips, and much more for the holy month! 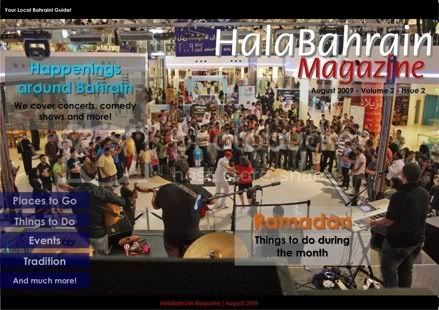 - Also in this issue: Cheb Khalid performing live in Bahrain, travel review of Nepal, and much more!